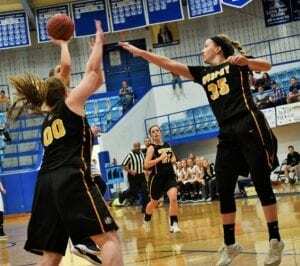 Basketball | Cherokee Co N.C.
After winning the Smoky Mountain Conference and defeating Cherokee for the Region Championship Friday night at Murphy High School, the Lady Bulldogs are victims of a “hurry up and wait” situation. They’ve tip-toed the sideline of perfection this season, suffering only one loss in conference play to the Braves, whom they beat 2-out-of-3 meetings this year. 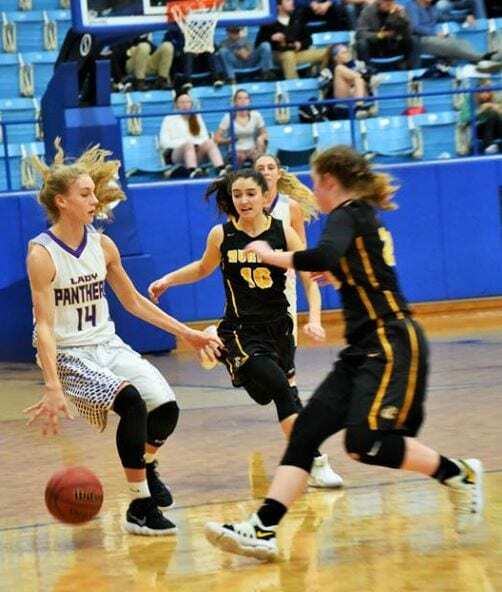 The Lady Dawgs only other loss came all the way back on November 25, 2017 when they fell by 10 to the Cougars of Mountain Heritage (Burnsville, NC) in the Coaches vs Cancer tournament. If you’re wondering where Mountain Heritage is, shift your focus to how good they are; 23-1, 11-0 at the time of this article and ranked 203rd in the United States (8th overall in the state of North Carolina regardless of classification). They’re alright. I mean, if you’re into teams that win and all that. Which brings us to present-day basketball, where the Lady Dawgs are stuck behind the fictional chain-link fence like a kennel of Blue Ticks waiting for a full moon. 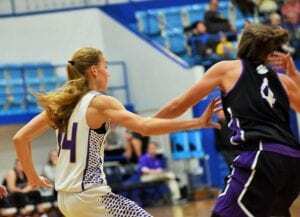 Hailey Thompson (00) and Sydni Addison (35) play defense in a game earlier this season. Photo by Jenni Dixon, TeamFYNSports. The Lady Bulldogs are one of eight teams who have earned a first-round bye as the NCHSAA State Basketball Playoffs begin on Tuesday. 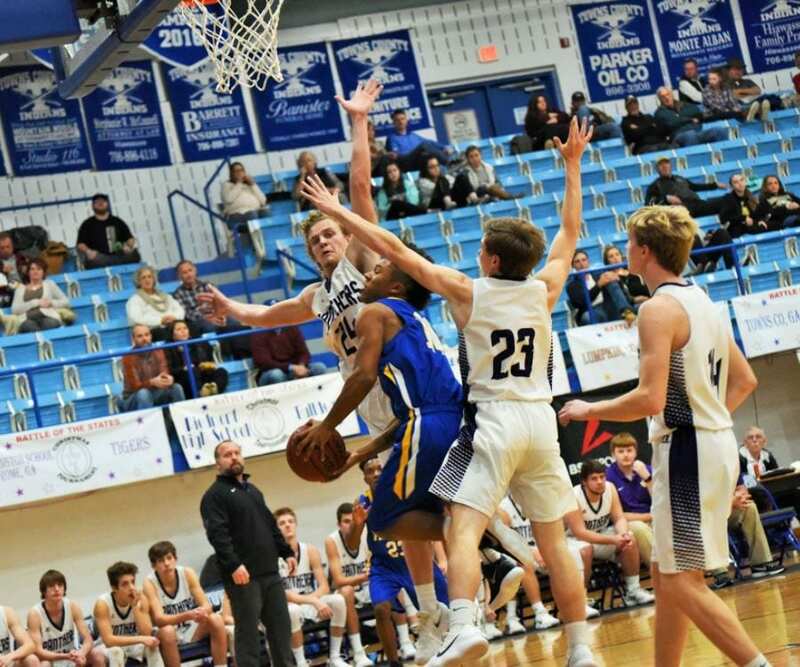 Pine Lake Prep (14) will host East Surry (16) for Tuesday’s first round games, with Murphy taking on the winner in round two Thursday afternoon. 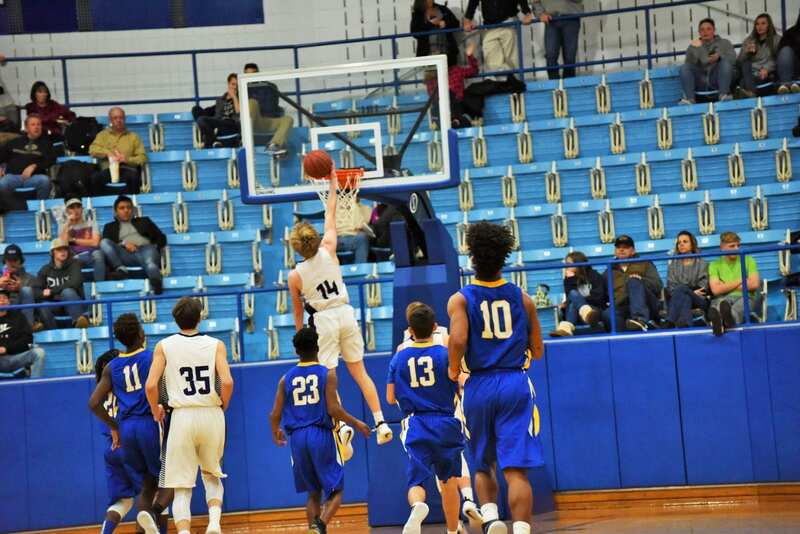 Pine Lake Preparatory School of Mooresville, NC has had an impressive season thus far, boasting a 10-2 conference record while going 18-8 overall. Competing in the PAC-7 1A conference, their two conference losses came by the hands of Union Academy (23-2, 13-0) of Monroe; and both games were decided by fewer than 10 points. East Surry (13-12, 7-3) looks to be the underdog in the first round, barely breaking .500 on the season. The Cardinals out of Pilot Mountain finished 3rd in the 1A Northwest Conference, behind Mount Airy (22-2, 10-0) and Bishop McGuinness (15-11, 7-3). 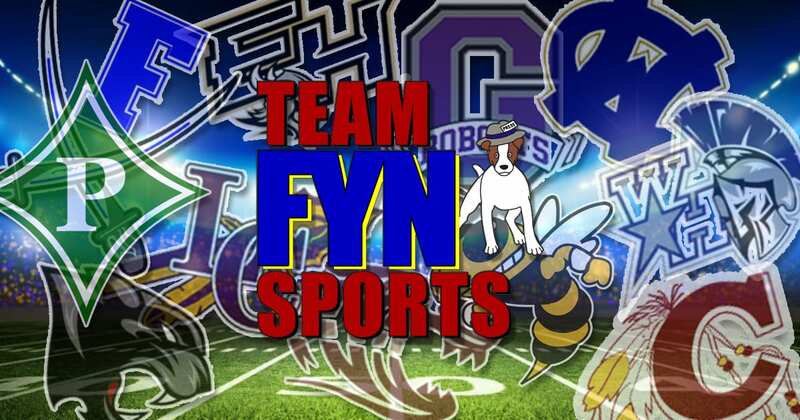 The 2018 NCHSAA State Basketball Playoffs are set to kick off and TeamFYNSports will be following the Murphy Lady Bulldogs all the way to the championship. Be sure to follow us on facebook, instagram and twitter for updates as the post-season progresses! The Murphy Lady Bulldogs have been nothing short of legendary this season, but that’s nothing new for them. Last year the varsity girls went 26-2, falling by only one point in the Elite 8 to the eventual state champions. “I couldn’t ask for a better team. They work extremely hard and do everything asked of them,” Murphy head coach Ray Gutierrez told TeamFYNSports last week. This week was no exception. 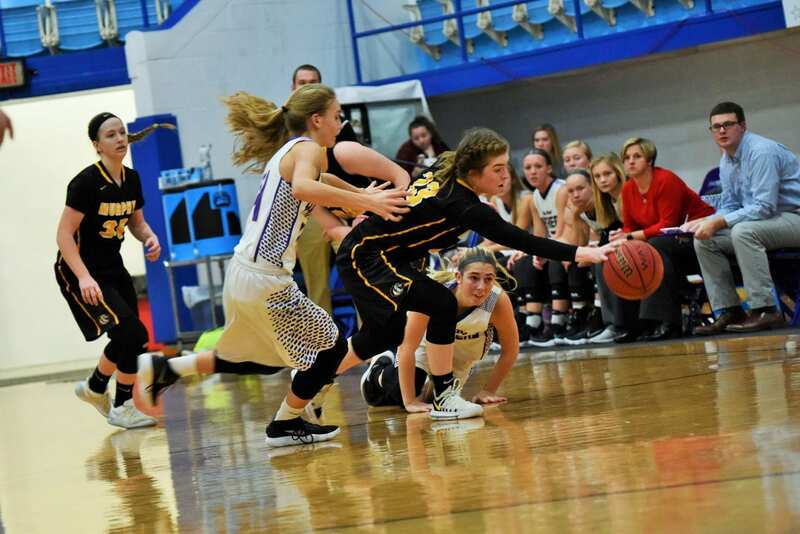 The Lady Bulldogs (18-1, 7-0) kicked last week off with a 52-32 win on the road at Hayesville, followed by a 74-26 road win over Andrews. At Hayesville, Jessica Beckner made herself at home inside the paint, and she defended her house. She scored 15 points, but even more impressive was her 10 rebounds in the game. Kaiya Pickens scored 13 points while teammate Haylie Thompson helped Beckner dominate the boards with eight rebounds. Other notable performances on the stat sheet came from Murphy guard Aubrey Clapsaddle, who scored seven points with six scoring assists. Clapsaddle had another great night managing the offense for the Lady Bulldogs. Brianna Moore also had a great game offensively, assisting four times but also scoring four points of her own. Jessica Beckner (15) pulls in a tough rebound while Sydni Addison (35) and Bri Moore (10) assist defensively in a game earlier this season. Photo by Jenni Dixon, TeamFYNSports. Sydni Addison, the ball hawk of the night, had seven steals on defense, scored six points and pulled in seven rebounds. At Andrews, Beckner stole the show. She not only scored 19 points and hauled in 10 rebounds, but she also scored her 1,000th career point for Murphy High School. “She is a tremendous student athlete and has worked extremely hard during her high school career,” coach Gutierrez said of his athlete’s outstanding achievement. Beckner has received a full scholarship to play basketball at Young Harris College next season. Aubrey Clapsaddle had another great night as well, scoring 11 points with five assists and five steals defensively. How do you beat two great wins on the road? You turn around and win two big games back-to-back at home. 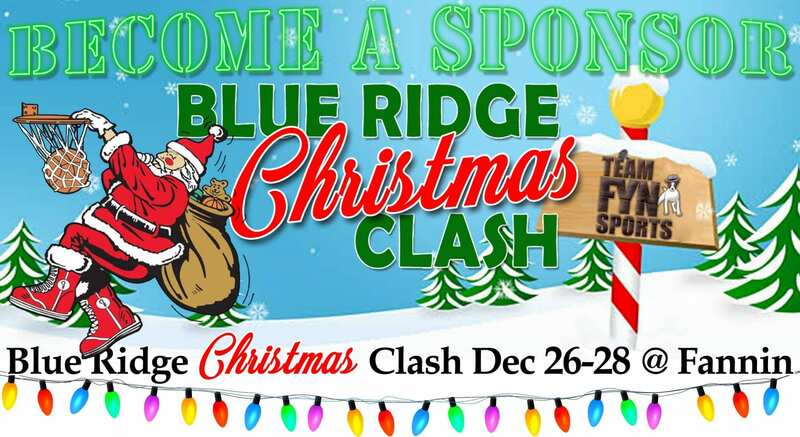 How do you beat a 19-90 road win over Nantahala (Topton, NC)? You hold them under 10 points of offense. On Friday, Nantahala took a rough road trip down to Murphy only to leave with their lowest offensive performance of the season. The Lady Bulldogs (wo)man-handled the Lady Hawks, coming away with a 77-8 home win, their 17th team victory of the season. They knew Saturday night’s game would be a true test. Following the huge win over Nantahala, the Braves of Cherokee High (then 10-4, 7-0), came to Murphy for the matchup the entire state of North Carolina has been waiting to see. 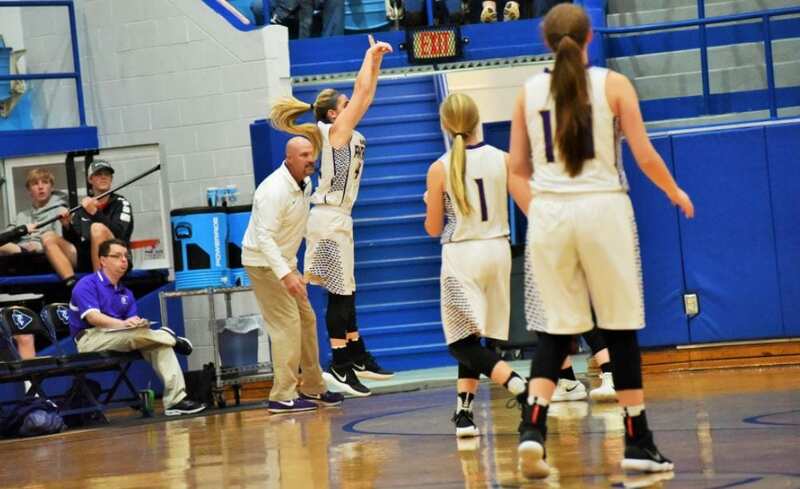 The first quarter was a close one – much closer than many of the games Murphy has played this season – with the Lady Bulldogs holding only a 4-point margin over the Braves, 18-14. The Lady Bulldogs, who average more than 60-points per game, were hitting their usual offensive numbers; but the Braves’ offense was up to the task early-on, making this game a true challenge for Murphy. 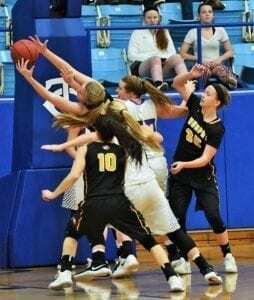 The ability of the Murphy Lady Bulldogs’ defense to collapse on the ball and apply pressure for four full quarters of basketball is a large part of their success this season. Photo by Jenni Dixon, TeamFYNSports. By halftime, Murphy had extended their lead by only one point. Trailing by five (43-38), the Braves were still in a dangerous position and neither team was a sure victor. Sharpshooters Clapsaddle and Pickens refused to leave the game in anyone’s hands other than their own. The two combined for 8-of-11 3-point attempts, combining for 31% of the total points for the Lady Bulldogs. In the end, the Lady Bulldogs held on to defeat the Cherokee Braves 77-74, giving the Braves their first conference loss of the season (breaking a 30-game streak). 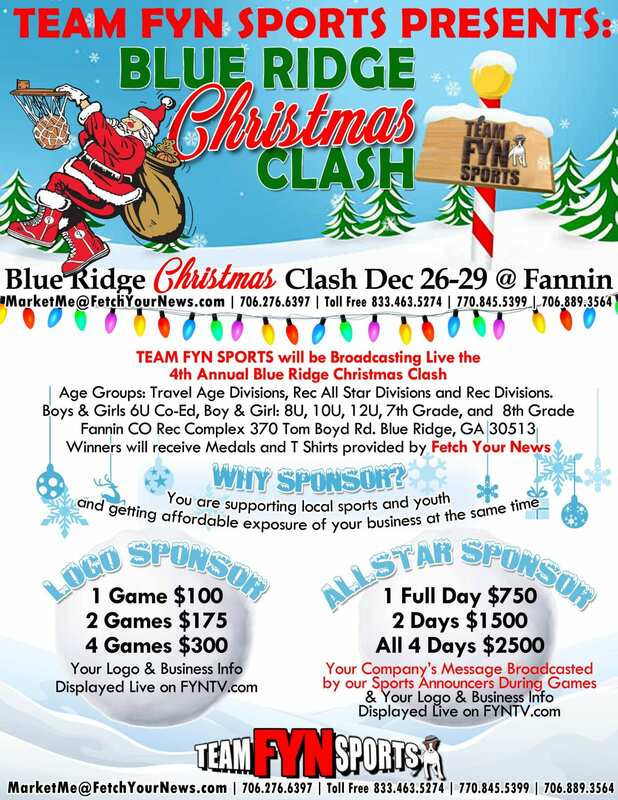 Clapsaddle scored 30 points, while Pickens had 14. Beckner scored 12 points in the game while Thompson scored nine points, Bri Moore had six, Martin scored four points and Addison scored a basket for two. Addison led the team with rebounds (8), while Beckner also pulled in eight boards, three offensively and five on defense. Murphy hosts Andrews (1-12, 0-9) on Monday and Robbinsville (14-5, 6-3) on Tuesday, while Cherokee travels to Swain County on Tuesday and Rosman on Friday. Robbinsville is 6-4 at home, one of those losses coming from Cherokee in overtime (53-47) on Dec 19; another home loss came from Murphy on Jan 2, 52-37.